The Albertosaurus was the three toed cousin of T. Rex. Although smaller than T.Rex, this relative lived a few millions of years earlier and was a carnivore. Albertosaurus lived towards the end of the Mesozoic period of the reptiles, nearly 75 million years ago. Albertosaurus was nearly 30 feet from head to toe and about 11 feet tall at the hips! This roughly 2500 kg dinosaur walked on two legs, which had three toes each and short arms with two fingers on each. Its large head held sharp teeth. The Albertosaurus had a long tail that provided the required balance and it even aided the dinosaur while turning. Albertosaurus’ lower jaw had between 14 and 16 teeth, while the upper one had between 17 and 19. This dinosaur had replacement teeth that developed beneath each tooth! The Albertosaurus lived on the other plant-eating dinosaurs. Albertosaurus’ muscular legs enabled it to run very fast. It has been observed that the 6 tons in weight T. rex, which was 20 feet tall could only cover 20 mph, and if it did have a fall, it would have been fatal. 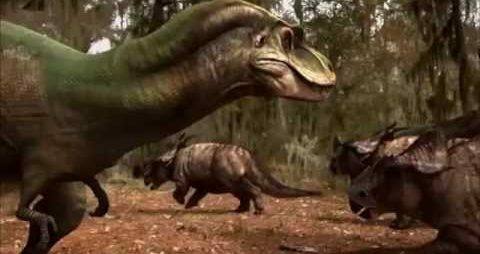 The smaller Albertosaurus’ smaller body mass would make a similar impact much less powerful. This dinosaur may have been able to recover a fall and being smaller, it must have been a fast runner. Do You Remember Exactly What You Said Earlier Today?